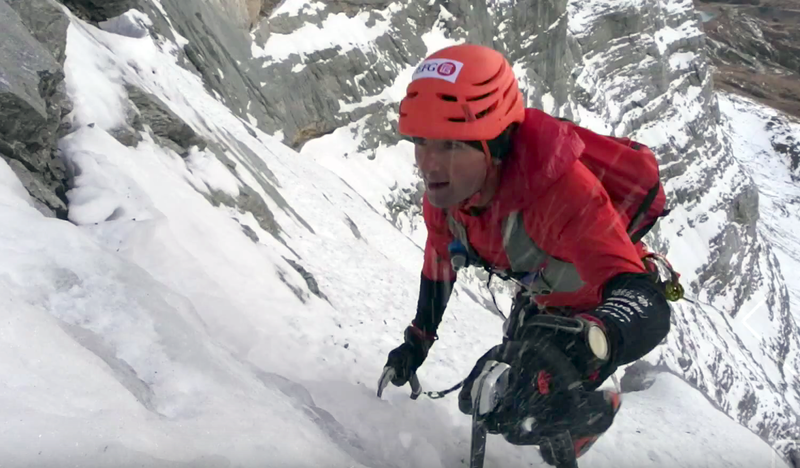 Ueli Steck, a renowned mountaineer known for blisteringly fast ascents of technical peaks that earned him the nickname “Swiss Machine,” died today while training for a climb on Mount Everest. He was 40. According to a report in the Himalayan Times, a group of six rescuers discovered his body. Other mountaineers had seen him climbing alone prior to the accident. Note: This article has been edited to clarify that Steck was climbing on Mt. Nuptse, not Everest, at the time of the accident. Nuptse is close to Everest and accessible from the standard Mount Everest route. Steck was acclimating for an attempt to climb Mount Everest without supplemental oxygen at the time of the accident. Steck’s family is “infinitely sad and asks the media … to refrain from speculation about the circumstances of his death due to respect for Ueli.” This is from a statement on Steck’s website. His body has since been recovered from the mountain. This is the first death of the 2017 Everest climbing season. Steck was among an elite cadre of mountaineers who climbed difficult mountains at high speed. He held many speed records, such as the North Face of the Eiger. On November 16, 2015, Steck took advantage of good weather and climbing conditions and pushed for the summit of the classic Heckmair Route (ED2, 1,800 meters) in a mere 2 hours 22 minutes. He won two Piolet d’Or, one of the highest honors in mountaineering, in 2009 and 2014. His list of first ascents and speed records is legendary. He first climbed the Heckmair route of the Eiger in 1995 at age 19. In 2009, he set a speed route up the Matterhorn north face (Schmid route) in 1:56 hours, solo. Steck reached Mount Everest’s summit without oxygen in 2012. In 2015 he climbed all 82 official alpine peaks over 4,000m (13,100ft) in the Alps in France, Italy, and Switzerland in 62 days. He also climbed many huge and committing mountain lines in the Himalayas and around the world, including Makalu, Shishapangma, Cho Oyu, and Annapurna. Steck’s climbing was not without controversy. In a bizarre incident in 2013, Steck and fellow climbers Simone Moro and Jonathan Griffith were involved in a fight with Sherpas. The incident shed light on the complicated relationships between foreign climbers and Sherpas on the world’s tallest mountain. But overall, Steck was a giant of mountaineering and highly respected for both his ethics on the mountain and his seemingly superhuman abilities. The news of Steck’s death shocked the outdoors world this weekend. His larger-than-life abilities inspired many around the world. “My deep condolences to all of Ueli’s family, friends and admirers around the world. This is a truly tragic day in mountaineering,” climber Alan Arnette wrote on his website. Today while Yannick, Hans and me were climbing to C3, Ueli Steck died at the Nuptse. Yesterday we were having lunch together in C2. Too sad. 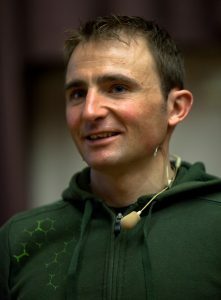 So sad to hear about the death of Ueli Steck in the Himalaya today. Crushing. Steck leaves behind a legacy of bold ascents in the mountains and inspiration to many. Our condolences to his family, friends, and mountaineering companions around the world.